The month of January doesn’t just mark the beginning of the new year, it also marks the beginning of tax season. This is a busy time of year for many businesses, as they scramble to collect and prepare income documents. Do you have to issue 1099’s? Did you receive a 1099 this year? If this is your first time dealing with 1099’s you may be a little confused, its OK we are here to help you navigate these uncharted waters. A 1099 is a series of income reporting documents used to report miscellaneous income to the IRS. There are several different variations of 1099 forms to report different types of income. 1099’s are similar to W-2’s in that they report income. However, that is were the similarities stop. Unlike W2’s issued by an employer, there are usually no withholdings on 1099 income. This means that the person receiving the 1099 income is responsible for paying estimated taxes, because Uncle Sam still wants their cut. In addition, they are also responsible for self employed taxes which make up both the employees and employers share of SSN and medicare contributions. When it comes to 1099’s it is possible to both receive 1099’s and also issue 1099’s. For example, if you work as a freelance digital marketer, and you work with a client who pays you more than $600-, your client is required to issue a 1099 to you so that the income can be reported to the IRS. However, on the other side, if you outsource certain aspects of the project, for example you hired a web designer to complete a new website for the client, and you pay them more than $600-, then you are responsible to issue a 1099 to them. As mentioned above there are variations of the 1099 form to report different forms of miscellaneous income. Some 1099 income may include: interest income, dividends income, and merchant card /3rd party income payments from sites like Amazon or Shopify who are required by the IRS to report income exceeding 20K. See below for more information of the variations of the 1099 form. What Is the 1099 Deadline? There are several 1099 deadlines you have to pay attention to. The 1099 deadline to issue a 1099 is January 31. This means that if you are required to issue a 1099, you have until the 31st of January to do so. The IRS also requires that 1099 income be reported to them. The 1099 deadline to file for 1099-MISC with an amount in box 7 is January 31st. For all other 1099’s the deadline is February 28 if filing by mail, and April 1 is e-filing. Failure to comply with 1099 deadlines could result in inaccurate information being filed and stiff penalties. It is important if you issue 1099’s to make sure they go out on time. This allows enough time for corrections to be made in case there are any issues. Also if you are on the receiving end of a 1099, please make sure you report the income to the IRS. It is also important to make sure the amount you report is the same amount that is reported to them. Any discrepancies raises a red flag, which is the last thing you want to do. In addition inaccurate reporting could result in costly penalties. Need help with your 1099 income? Whether you have to issue 1099’s, file 1099’s, or report 1099 income, we can help you! 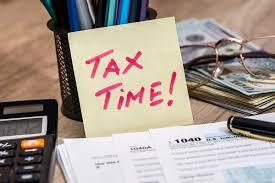 Contact Tax Hack to today to schedule an appointment. For more information on how to issue a 1099 or 1099 deadlines subscribe to our newsletter.